and even now a week later I am still refreshing areas for a bit of change…do you ever feel like a change? and most recently attempting to sort out the very small loft area. For some unknown reason I just can’t seem to quite get things organized the way Id like to. do you have areas like that? however I did accomplish getting in a fun baking day and a great recipe for you to try for yourself! 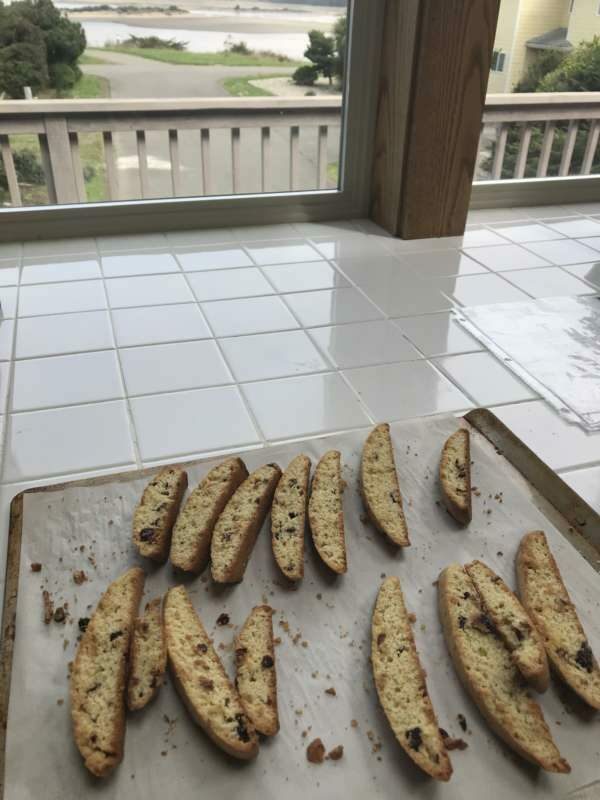 These are dry-crisp, double-baked (which I learned that’s what biscotti means…twice baked) cookies that look a bit like toasted slices of bread. They have a wonderful anise & lemon flavor. Preheat the oven to 375°… grease a large baking sheet and set aside. Thoroughly stir together flour, anise, baking powder, and salt. In a large mixing bowl, combine butter and granulated sugar and beat until well blended. Add eggs, lemon zest, and lemon extract and beat until light and fluffy. Gradually beat in about half the dry ingredients. As dough stiffens, stir in remaining dry ingredients with a large wooden spoon. Divide dough in half. Shape each half into a smooth, evenly shaped log about 11 inches long and 2 inches in diameter. (Shaping is easiest if dough is placed in wax paper, then rolled back and forth until smooth.) 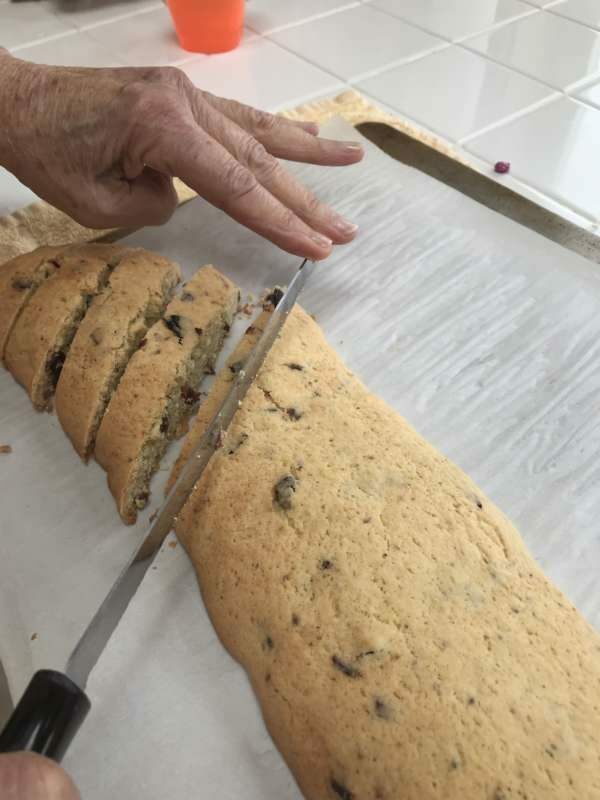 Unroll logs from the paper directly onto baking sheet, spacing them as far from one another as possible. Press down logs to flatten them slightly. Place in the center of the oven and bake for 25 to 28 minutes or until logs are lightly browned. Remove baking sheet from the oven and let logs stand until completely cooled, about 1 1/2 hours. Cut logs diagonally into 1/2 inch thick slices using a large, sharp knife. Lay slices out flat on baking sheet, return to oven, and toast for 5 to 7 minutes. Turn over slices and bake 4 to 5 minutes on second side. ( The longer the baking time, the crisper and dryer the slices will be.) 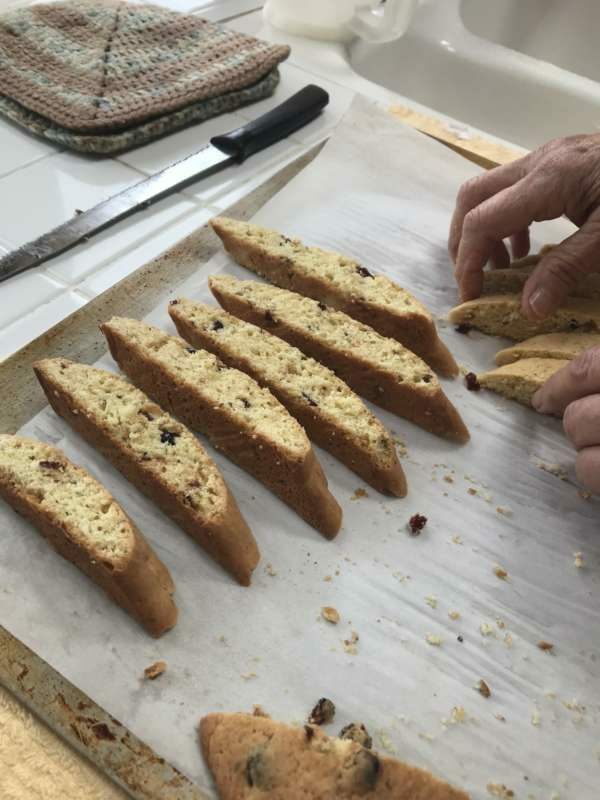 remove from the oven and transfer biscotti to wire racks to cool completely. Store in an airtight container for up to two weeks. Freeze for longer storage. 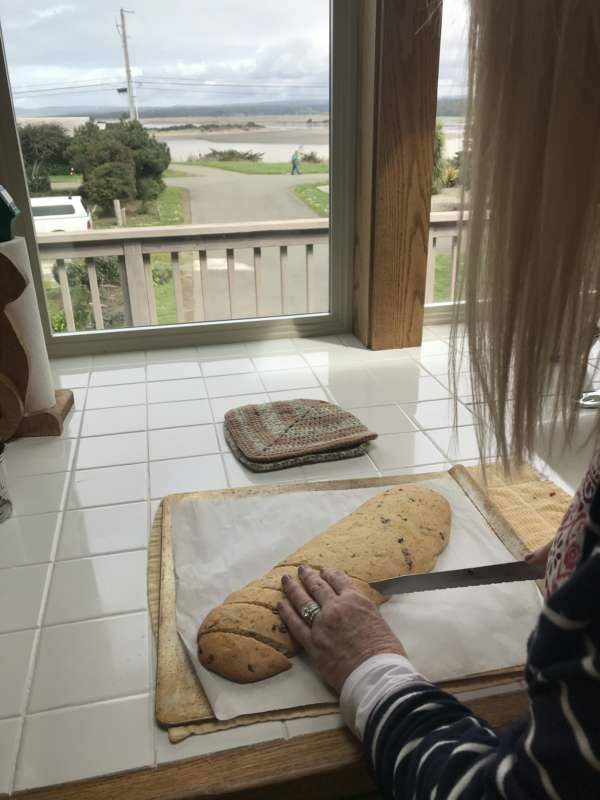 Makes about 30 3 1/2 to 4 inch biscotti. 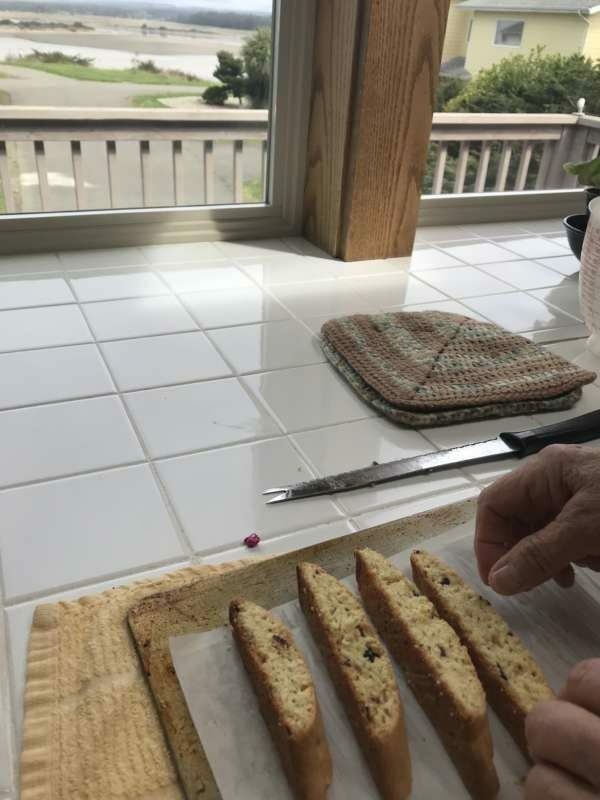 2 Responses to My Week…and…How To Make Biscotti! Your kitchen looks very fresh and inviting and the biscottis ARE marvelous! I will be trying these…..and I LOVE Anise!!!!! Thank you!!! !